The new Mayor of Clare, John Crowe receiving his chain of office from outgoing mayor, Joe Arkins. Photograph by Declan Monaghan. Councillor John Crowe of Sixmilebridge was elected Mayor of Clare at the county council AGM held on this Friday afternoon. Councillor Crowe was nominated by poll topper Joe Cooney and seconded by Independent Gerry Flynn. 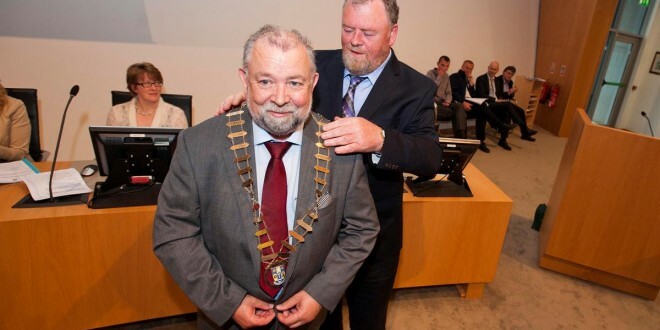 The Fine Gael councillor is the county’s outgoing deputy mayor. Councillor Crowe will be the only Fine Gael member to hold the position of mayor over the five-year term of the new authority. 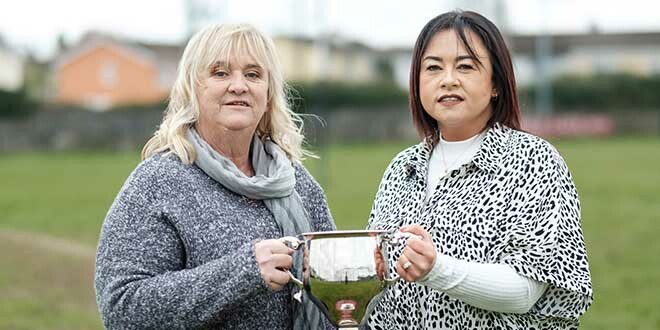 Two Fianna Fáil members will have the honour of holding office, while the “technical group”, consisting of the seven Independents and one Sinn Féin, will also have two terms of office. Fianna Fáil’s Councillor Tony O’ Brien of the Killaloe Electoral area was elected deputy mayor for the coming year. Councillor O’Brien was re-elected to the council last month having lost his seat in the 2009 local election. 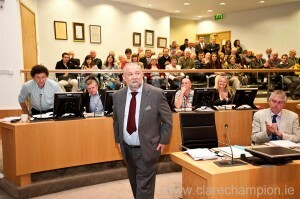 Ahead of the mayoral election, outgoing mayor of Clare Joe Arkins presided over the meeting. It was his last official role with Clare County Council for this term having lost his seat in May’s election. He acknowledged the “huge honour” bestowed on him when he was elected by his colleagues at last year’s AGM as mayor. Tributes were paid to Mr Arkins by both party groups in the council and by the technical group of seven Independents and one Sinn Féin councillor. 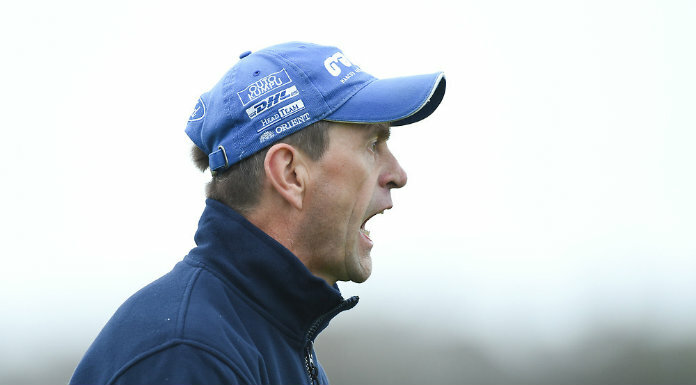 County manager Tom Coughlan congratulated Mr Arkins on “a very significant contribution”.